The funds, support and financial relief that we have experienced have all played a role in the fruition of our large idea. We set out with just a dream of creating an extension to our greenhouse program with the goals of creating greater food literacy within our students, insight into BC’s Agricultural GDP with the perk of obtaining job skills, and finally, the use of gardening to expand the concept of community and sustainable living. 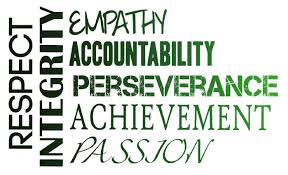 Since that dream began we have met many organizations that share the same visions. Some of these groups have granted us funds to develop this dream, others have given their time and services and others have provided financial relief on the high costs associated with such a large project. We are grateful for all of the help and financing we have received, it makes differences in the lives of all of the people we teach. BCAITC is a non-profit organization that works with educators to bring BC’s agriculture to their students. 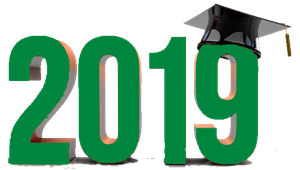 The BC Agriculture in the Classroom Foundation is supported by the BC Ministry of Agriculture, the BC Ministry of Health, the BC Ministry of Education, private donors, as well as the agriculture community in our province. The funds that BCAITC have provide have proven to be indispensable for the projects development. Projects like this require time for planning and the implementation of the plan. We are grateful for our partnership with BCAITC. We look forward to the years ahead as we all work towards educating young minds about food literacy and sustainability. 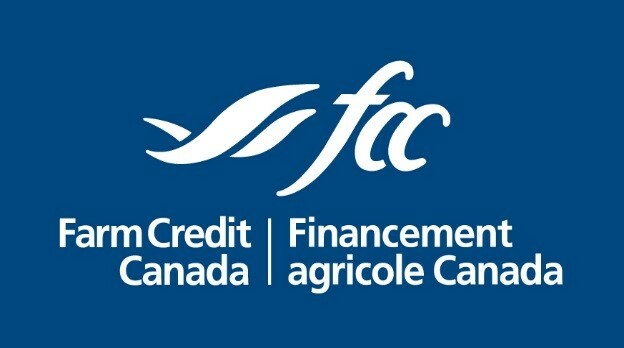 FCC is Canada’s leading agriculture lender, with a healthy loan portfolio of more than $28 billion. Their employees are dedicated to the future of Canadian agriculture and its role in feeding an ever-growing world. They provide flexible, competitively priced financing, management software, information and knowledge specifically designed for the agriculture and agri-food industry. In 2014 FCC granted SSS Farm $20,000. This money was significant in establishing the SSS Farm, as if provided us with a well and main irrigation system for the 5 acre farm. The irrigation system includes the well, a main line, 7 value boxes, a computer and two above ground distribution systems (sprinkler and drip). This system irrigates the CSA garden, the SCG garden and the future UFV research plots. We also installed three water stations on the farm with these funds. Funds that remained after the irrigation purchases provided the SSS Farm with a ride on lawn mower and wagon, weed whackers and spraying backpacks. Our computerized watering system is a great way to teach students about controlled watering, industrial practice and water conservation. It has also been key in the establishment of the SSS Farm as water is essential for growing. Through the CST Inspired Minds Learning Project, they challenge communities and organizations across the country for new and innovative ideas in the growth and development for children ages 0–17. Submitted and screened Ideas are funded with a prize money pool of $250,000. In 2016 SSS Farm entered an inspired minds contest with CST and was secured into the top ten large prize group through community votes. From there Canadian icons selected the SSS Farm as the third place winner of an innovative Canadian learning idea. The SSS Farm was granted $25,000 for helping with the future costs of a teaching pavilion and high tunnel. Today teachers and community are working hard to bring the pole building for agricultural storage purposes to reality while still being able to afford the high tunnel for growing vegetables. These future components are going to be great additions to our SSS Farm because the pole building for agricultural storage purposes will provide shelter from the elements, a place to focus on journaling your experiences, a place for deeper instruction, as well as a great lunch spot for the students in our summer program. The high tunnel will allow us to start growing sooner, having an onsite germination zone, add interesting additions to the garden or items that need alternative climates. Sponsored by the Public Health Association of BC and supported by many other partners, Farm to School BC is an initiative dedicated to changing the way children think about, and consume, food in their schools. Established in 2007, Farm to School BC is a diverse and expanding provincial network that promotes, supports, and links Farm to School activity, policy and programs across the province. In 2015 the SSS Farm was granted $4000 to build a wash station at the SSS Farm for all of our delicious thirty one – plus vegetables that are growing there. We have a double wide sink for washing, a preparation table for sorting and packaging, as well as a hand washing station to promote healthy practices. Any remaining funds contributed to supplies for growing or harvesting our produce. This support has given us the ability to establish our fundraiser to help to stabilize the programs internal funding, our Community Supported Agriculture (CSA) garden. Murray Honda, Staples, Canadian Tire and other like minded businesses financed the expansion of the School Community Garden on the Sardis Secondary School Farm. These companies financed the five new skookum raised beds,irrigation supplies and all of the growing and learning resources for our five elementary classes. Their contribution also brought the addition of one raised wheelchair bed. The total cost of contributions approximated $4000. In 2014-2015 the PAC provided the Agriculture program with $2000 to assist in building our SSS Farm community board. In 2016-2017 the PAC provided $2500 to create signage for the farm including our new logo! A local Dairy farm that has provide us with farming services for years. When the SSS Farm began Elmido Farms began working with the teachers running the program. They have provided services such as, tilling, seeding cover crops, spraying fertilizer and providing educational tours of their own farm. 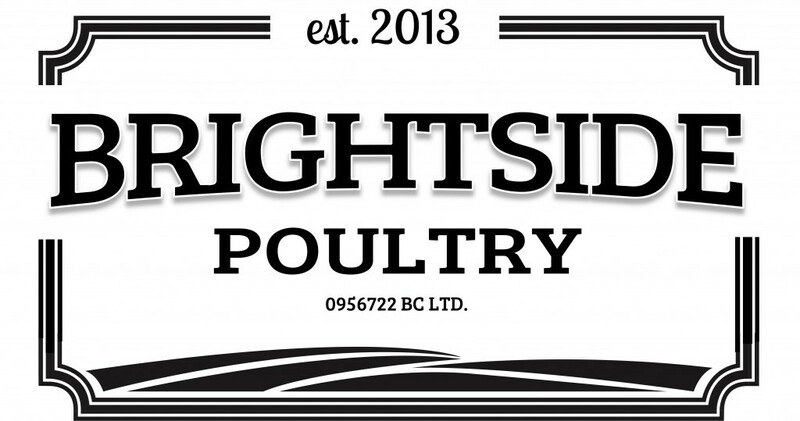 Brightside Poultry, along with Elmido Farms has donated chicken manure for the 2018-2019 school year. This manure will serve as fertilizer for our vegetable crops at the farm. A local corn farmer has become another key member to our success. He works the farm in the same way as Elmido Farms, with the addition of providing and planting large volumes of delicious Chilliwack Joiner Corn. This donation adds to our CSA program and creates additional income for our program through corn sales. West Coast Seeds is our largest seed sponsor. They have generously donated thousands of dollars of seeds to us in the last few years. There sponsorship means the world to us, as we are growing food in this program!!! These seeds provided us with food for our Community Supported Agriculture (CSA) members, our students and our school culinary programs. Thank you West Coast Seeds!!!! A local greenhouse that aids in our supplies for our hothouse. They also provide us with greenhouse cucumbers. Along with this they provide knowledge and educational tours. From 2016-2018,All Seasons Mushrooms provided us with massive volumes of mushroom compost to use as a growing medium for our CSA. In 2018, Highline became our main supplier of compost for our vegetable garden. Thank you for the wonderful donation of massive volumes of compost. A local vegetable farm that advises us on growing techniques, provides educational tours, and shares a passion for sustainable growing. In 2018, a large donation was made to the SSS Farm program by way of seed potatoes, onions and ginger. Pine Meadows donates the use of a tractor periodically for custom farm work and also hosts agriculture classes for field trips. Chilliwack Rotary: The constructors and donators of our red shed for our SCG. A sturdy 10’x10’ solar-light shed, provides a great storage unit for the community members of the garden. A local nursery that provides us with donations each year for our Annual Mother’s Day Plant Sale. Minter Garden: A local garden center, whose owner, Brian Minter has provided us with our innovative edible landscape plan. Can-Tech Roofing: A local roofing company that is providing roofing services for our pole building for agricultural storage purposes. A local floriculture greenhouse that consults with us on growing our hanging baskets and bedding plants for our Annual Mother’s Day Plant sale. A local tree felling company that donates tree mulch to us for our pathways in our CSA garden. Tom has generously donated his time and expertise to the Sardis Agriculture program for over 10 years. He has hosted field trips at his personal nursary and at UFV, worked alongside students for many of our annual plant sales, shared his vast knowledge of fruit and vegetable production with Sardis students, and most recently has donated hundreds of berry plants, irrigation and other supplies to create a berry patch at the SSS Farm. Farmer Rick has been working with us since 2017, using his John Deere tractor to do custom work for us at the SSS Farm, including planting, harrowing, rototilling, spreading compost and maintaing a summer fallow. Berlo has been donating seedlings to plant into our CSA garden. This has made an enormous difference in allowing us to grow broccoli, cauliflower, cabbage, Brussels' sprouts, kohlrabi, cucumbers, squash, pumpkin, zucchini, leeks and more. Fresh Roots is a partner organization with us that does amazing work at schools in Vancouver, specializing in urban agriculture. They sponsor us by facilitating the hiring of a summer student for the Sardis Farm and connecting BC school farms together, fostering teamwork and growth in each one. Southern Irrigation: A local irrigation store that provided us with a 25% savings on our irrigation supplies that were funded by Farm Credit Canada. Peter’s Drilling: A local well drilling company that provided us with a 25% saving on our well system. Valley Tank and Container: A local business that provides us with a 25% savings on our washroom facilities on the SSS Farm. An agriculture supply company that supplies high value items at 25% discount. Valley Farm Drainage: A local drainage company that installed our field drainage with a 25% savings. Houweling Greenhouse: is a Delta greenhouse company that provides us with free seeds, for our greenhouse hothouse crop. Johnny's Selected Seeds donated a school garden pail containing a variety of easy to grow seeds to grow in our CSA Garden in 2017.